The Art Of "Julie Asher Lee"
Julie was born in the heartland of America. Her playground was the scenic woods and rolling hills of central Missouri. She was raised in a large family of artists and craftsmen who had a love for the outdoors and were actively involved in local wildlife conservation efforts. Her family participated in the rehabilitation of a variety of animals and birds. It was these early hands-on experiences that afforded her a greater understanding and appreciation for wildlife, something that would follow her into adulthood and her career as an artist. Additionally, her older brothers had a love of history, especially the mountain man culture of the early fur trade. Working along side them, Julie learned how to tan hides and make buckskin clothing. She observed the art of making traditional bows from bodark, in addition to beading deerskin bags and moccasins. In the early 1990's, Julie relocated to the plains of North Texas, a rich and diverse land of big skies and vast prairies. Living on a working cattle ranch has afforded her the opportunity to immerse herself in Texas culture. 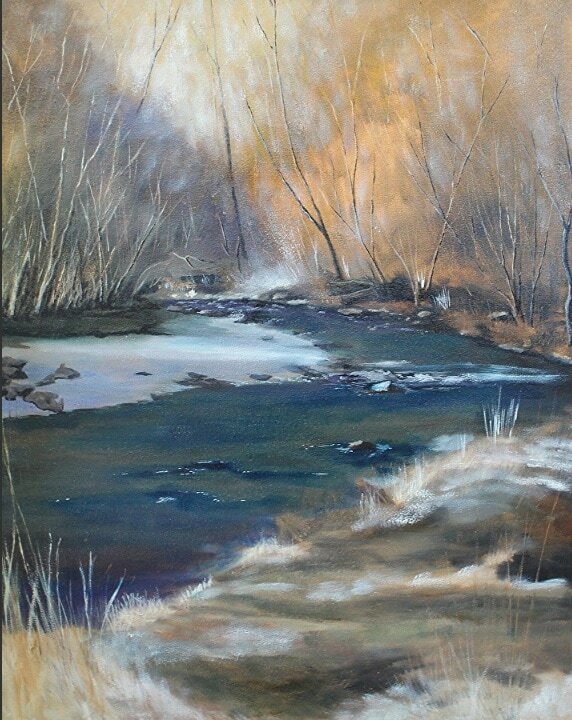 It is this rich mixture of backgrounds that gives Julie the love for her subject matter and inspiration for her paintings. Self taught, Julie began her career in 2007 as a scenic artist for local theatre groups, along with painting murals for local businesses. She began teaching at a fine arts school in Fort Worth in 2010. 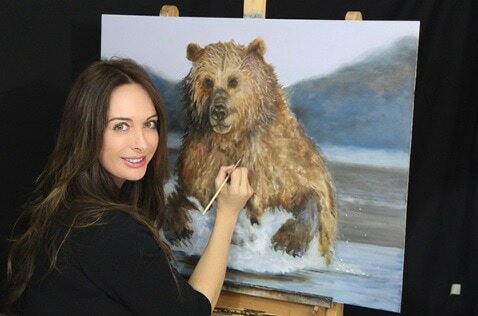 In 2012, Julie decided to take a leap of faith and step out as a full time fine artist. Her career has flourished ever since. 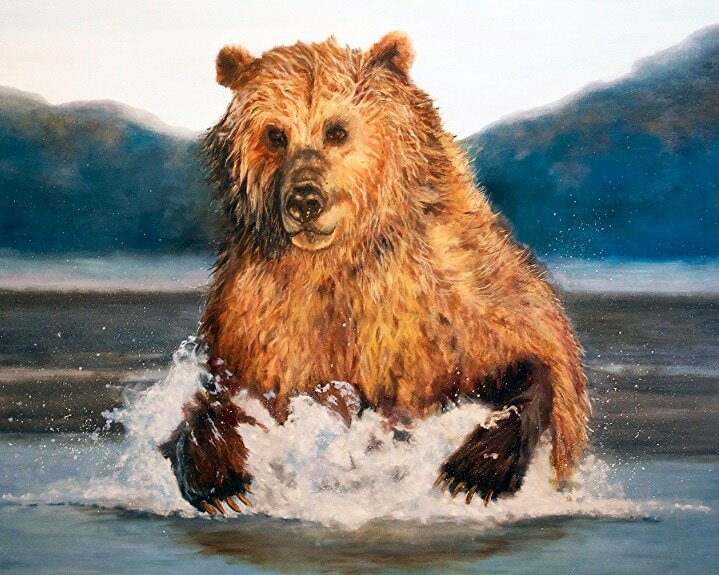 In 2014, Julie was commissioned by the Chisholm Trail Outdoor Museum to paint murals and historical depictions for their new attraction, the Big Bear Native American Museum. This led to her obtaining a studio at the same museum, the perfect setting in which to view her artwork from sketch to completion. 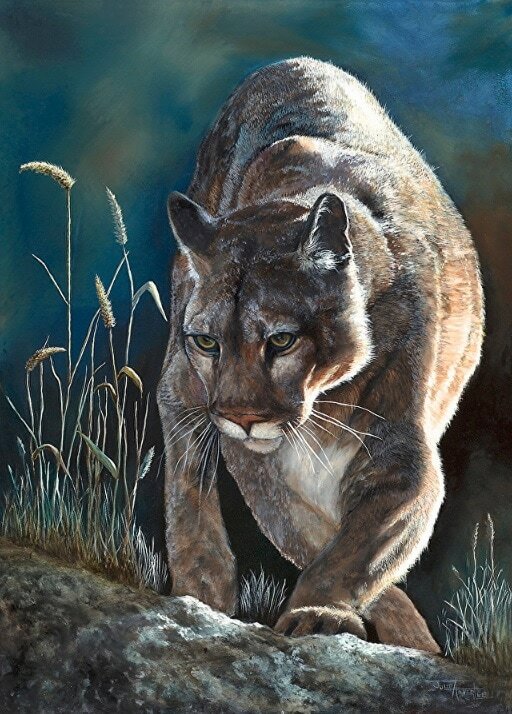 Julie specializes in representational western scenes, landscapes and wildlife. 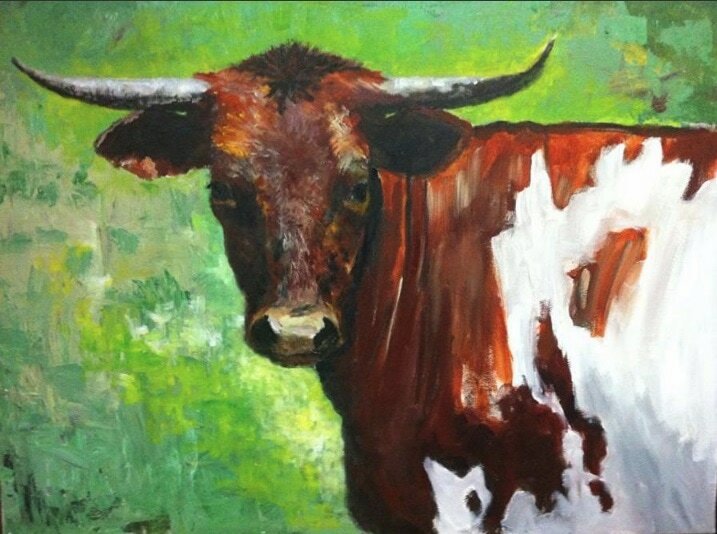 She is represented by The Warhorse Gallery in Dublin, TX and The Bare Wall Gallery in the UK. For more information, or to purchase work or contact her for a commission, please email at julie@julieasherlee.com or call 817-487- 2478. 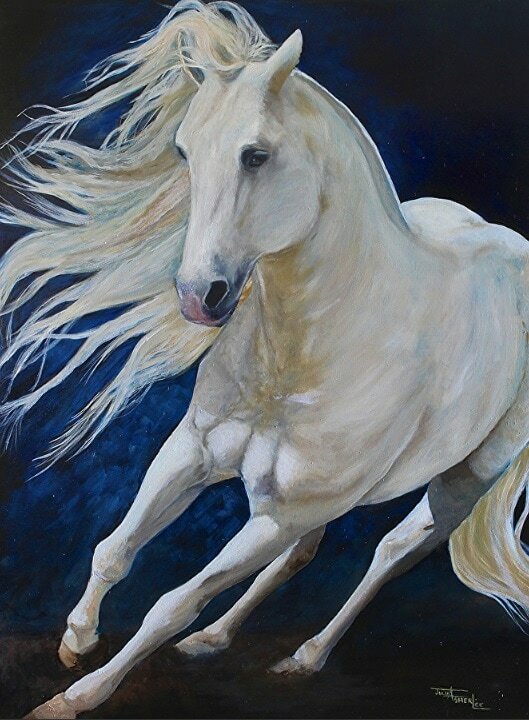 You can follow Julie on Twitter @julieleeart, Facebook or Instagram.